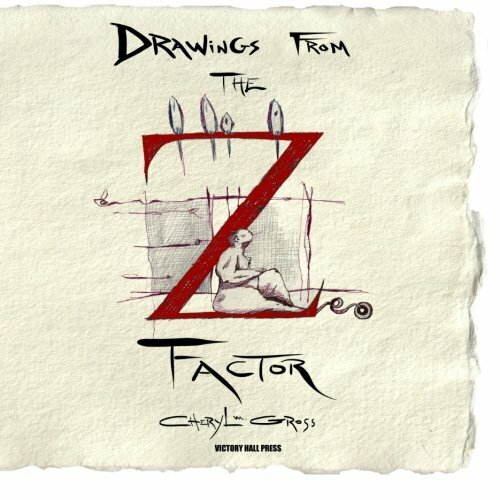 Drawings from The Z Factor The Z Factor is a compelling story of how three generations involved in the creation of a new species of premeditated human evolution, consequently altered the future of the world, as we know it…forever. Beginning at the later part of the 19th Century, The Z Factor takes us on a historical journey throughout some of the most monumental movements in modern art. It carries the reader into our postmodern subsistence and paves the way to an exceedingly surprising and unsettling future. Drawings from The Z Factor is a compilation of the original color illustrations and quotes from the novel. About the AuthorBorn and raised in Brooklyn, New York, Cheryl Gross is an illustrator, writer, motion-graphic artist, living and working in the New York/Jersey City area. She is a professor at Pratt Institute and Bloomfield College where she teaches her vocation. Cheryl received her MFA from Pratt Institute. Her work has appeared in numerous films, TV shows, publications, and graces the walls of many corporate and museum collections including: The Body Electric, Fort Collins, Colorado, 2013,Filmpoem, Scotland, 2012, International Short Film Festival, Berlin, 2012, The Zebra International Poetry Film Festival, Berlin, 2012, 35th International San Francisco LGBT Film Festival, 100 New York Painters, Schiffler Publishing, Riverside Museum, Riverside, Ca., USA, The Museum of The City of New York, Mississippi Museum of Art, The New York Times, Comedynet.com, Associated Content.com, Current TV, Laforet Harajuku Museum, Tokyo, Japan, and Artist-In-Residency, Kunstlerhaus, Saarbruken, Germany. Her illustration credits include; Jimmy Stewart and His Poems, Crown Publishing, Circe, Lowbrow Press, Becoming Judas, Red Hen Press, In The Circus Of You, Rose Metal Press, and The Z Factor, which she has written and illustrated. When asked about her work: “I equate my work with creating and building an environment, transforming my inner thoughts into reality. Beginning with the physical process, I work in layers. I am involved in solving visual and verbal complexities such as design and narrative. My urban influence has indeed added an ‘edge’ to my work.” Cheryl’s work has often been compared to Dr. Seuss on crack.